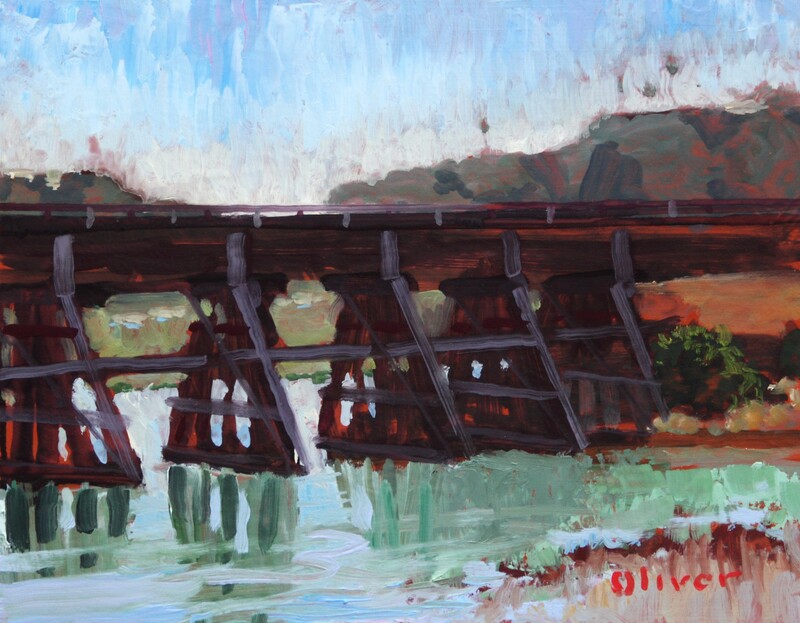 One of the challenges of plein air painting is working within a limited budget of time. The interplay of a moving sun and fleeting clouds make swift work integral to capturing the scene. 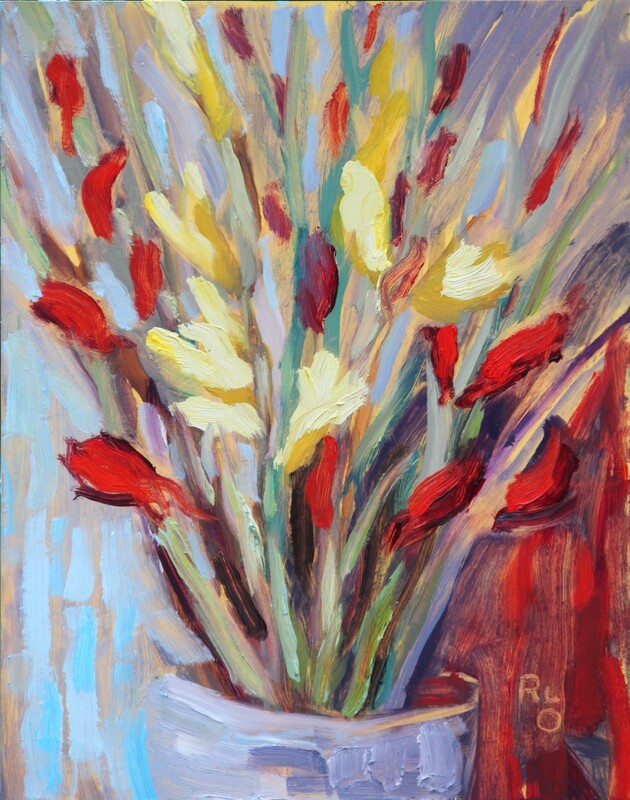 A changing scene may force the painter to work from memory, which is not as accurate as direct observation. And after all, really, who has the stamina (or is it the lunacy?) to paint for hours out in the elements? Thank goodness, most of my plein air painting sessions finish in under two hours, before I can become dehydrated and sunburnt. 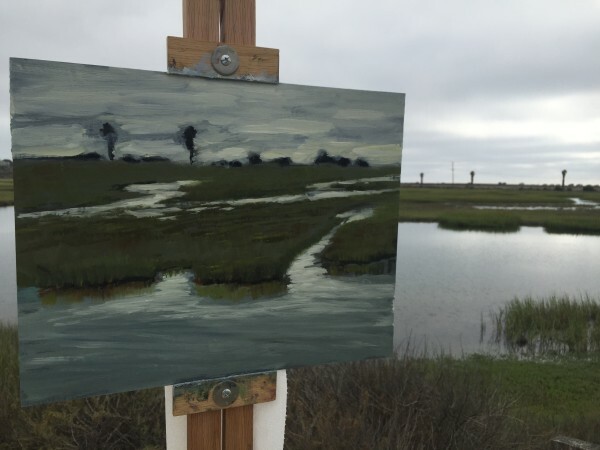 I completed this 11×14 inch plein air painting of San Elijo Lagoon in about an hour and a half. 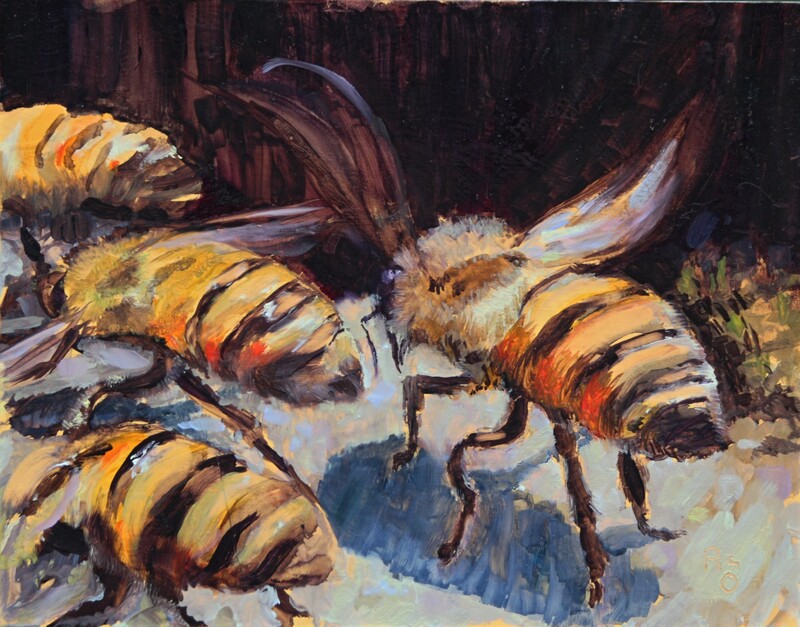 Having a pre-toned (a neutral gray) substrate helped the work to go quickly because there was no “white space” to cover and the toned background filled in the gaps in the superseding paint layers. 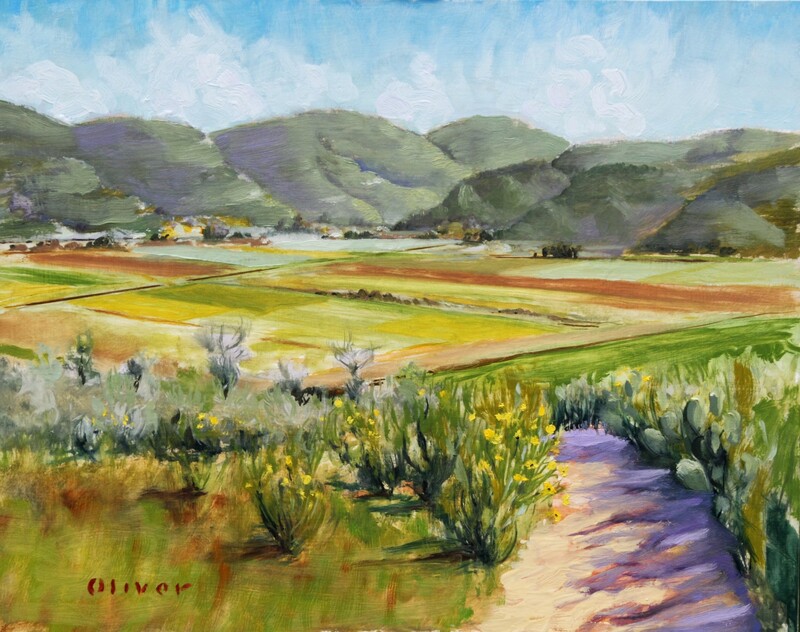 My goal in painting in plein air is not to make a photo-realistic depiction of the scene but rather to suggest something truthful, with expression but that also looks good when framed and hung on a wall. 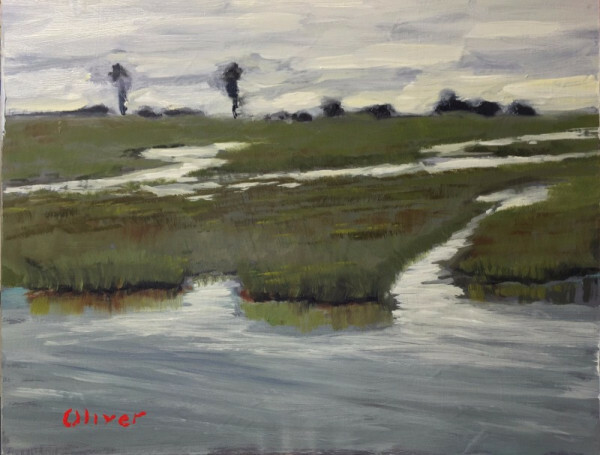 Plein air painting provides the added benefit of being stretched by new challenges but also keeping the “chops” tuned for studio work. The San Elijo lagoon and nature center is one of the great places in San Diego to visit at twilight. Either early in the morning or in the evening before sunset, hiking the well maintained trails and boardwalk there is a peaceful and fascinating experience. You will see the play of the wind on the surface of the tidal waters and the fronds of the grasses in the marsh. Reflections of light, dance, shimmer and change with each breath of wind. The silence is ocassionally broken by the cry of foraging birds or the sudden splash of fish jumping out of the water.